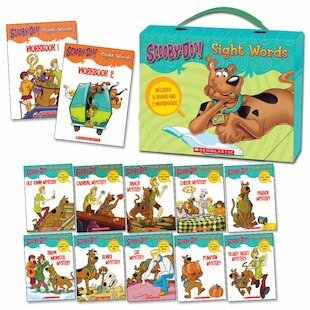 Learn some spooky sight words with Scooby the sleuthing hound. This pack includes twelve mini books to help you master loads of tricky words. There are ten exciting stories about Scooby and his crime-busting gang. (A really exciting way to practise your reading.) Plus two fantastic workbooks full of puzzles that help you check what you’ve learned. Are you wondering how to remember all your sight words? Scooby-Doo will help you solve the mystery!